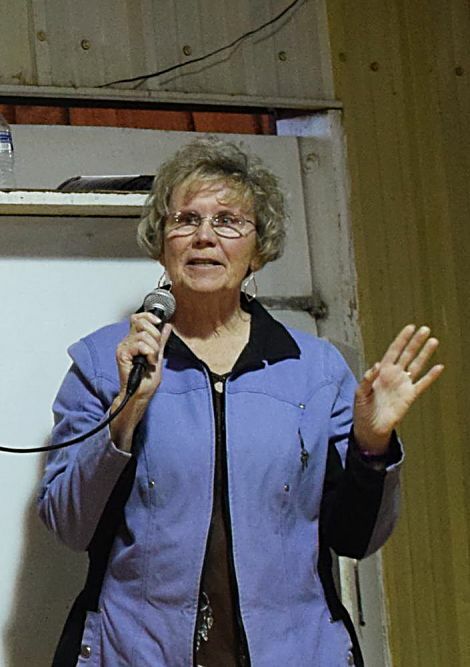 Becky Littau opening the 45th Annual Littau Angus bull sale. 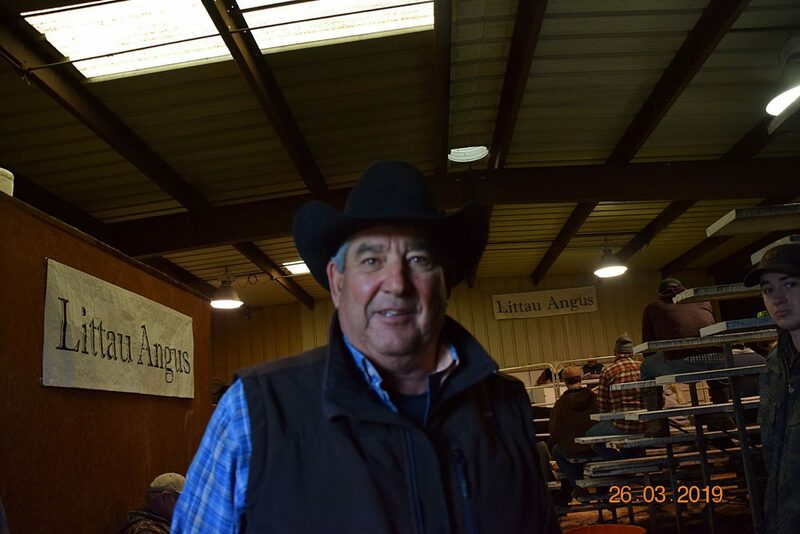 John Longcor, Mission, South Dakota, is a repeat Littau Angus bull buyer. Jeanette Fink, Delmont, South Dakota with Ty Littau at the Littau Angus sale. 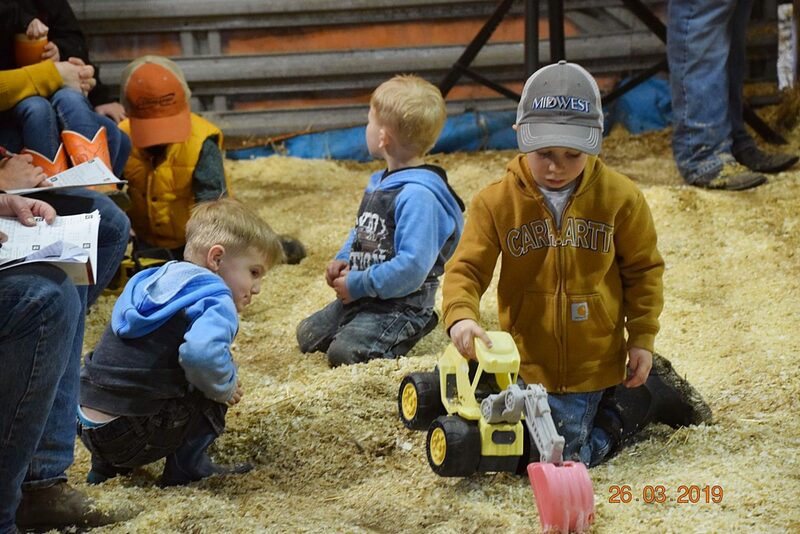 Future ranchers at the Littau Angus bull sale. 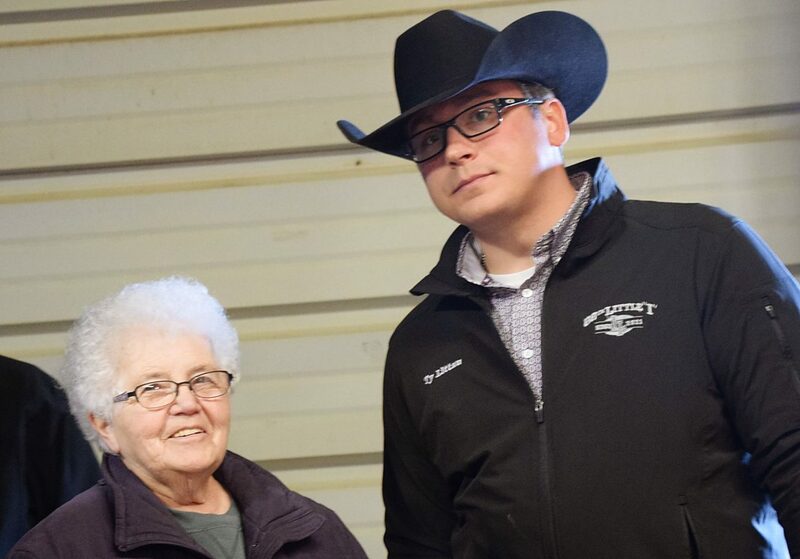 Littau Angus, LeRoy & Bob Littau and their families held their 45th Annual production sale at the ranch south of Carter, South Dakota on March 27. This sale was dedicated to the legacy and honor of their mother, Betty. Power bulls with extra length and performance with calving ease mixed in showcased the sale offering of yearling bulls. Lot 721, LAR Cowboy Up 721F, a 2/18 son of HA Cowboy Up 5405, with EPD's of CED 2, BW 4.3, WW 86, YW 162, milk 22. This bull had a 205 day ratio of 118 and yearling ratio of 125, selling to Rex Black, Spencer, Nebraska for $8,500. Lot 582, LAR Top Cut 582F, a 2/18 son of Bruns Top Cut 373 with EPD's of CED 8, BW 2.2, WW 68, YW 138, and milk 30. This bull also went to Rex Black at $6,750. Lot 553, LAR Cowboy Up 553F, a 2/18 son of HA Cowboy Up with EPD's of CED 8, BW 2.0, WW 72, YW 132, and milk 20, sold to Dexter Black, Spencer, Nebraska for $6,500. Lot 702, LAR Top Cut 702F, a 2/18 son of Bruns Top Cut, sold to Hank Wonnenberg, Dallas, South Dakota for $6,250. Lot 700, LAR Excitement 700F, a 1/18 son of Basin Excitement, sold to Kenneth Bolzer, Martin, South Dakota for $6,000. Lot 678, LAR Double X 678F, a 2/18 son of MAR Double XL 320, went to John Longcor, Mission, South Dakota at $6,000.